The Bell Tower Arts Journal Release party gathered a vast variety of people to celebrate the newest issue being released. Three awards were given out to students for their work that was featured in the journal. Willow Lanchester won the award for best art in the journal, she had two pieces that made the journal. The first being a charcoal self-portrait, the other an acrylic painting of a moth. Aji Fatou Sakho won an award for best literary, she had three pieces that made the journal. The three pieces those being “Afrique,” “International” and “The Whisperer” (Alwaswaasu). The first ever three-dimensional art piece was placed in this year’s journal. 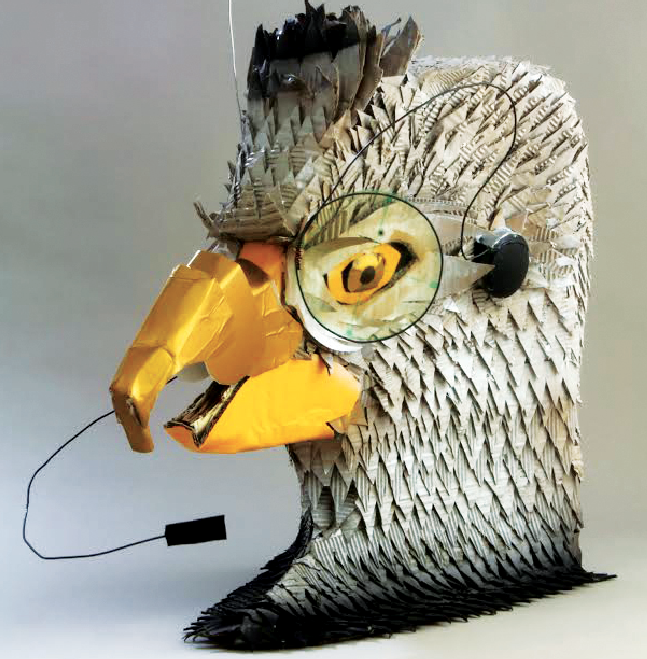 Tact-Eagle was created by Art Major Matthew Hopkins, the piece is a made of cardboard and paint. White hopes to see more three-dimensional pieces in the Bell Tower in years to come now that there is access to the equipment to take photos of the work. Alumnus Lenora Hill had her acrylic painting “Mozart” featured. Hill was excited to learn that her work was being published. Submissions for the 2017 Bell Tower are already open, the submission deadline is Nov. 9. Submissions can be turned in to the Humanities, Communications and Fine Arts Office in Jenkins.